Rustom 11th Day Collection and box office earnings: The last week in Bollywood was dominated by two superstar films. Rustom collection received a much anticipated better response than of Mohenjo Daro on the box office. Since the growing fan following had helped Akshay Kumar in creating a vast potential audience to launch his film on a large stage, he had grown up as one of the most preferable name in entire industry. The clash during the 15h August happened because of shortage of dates. Diwali date is booked by Ajay Devgn this time for his ‘Shiva’, while all other dates are also booked. Because of the housefull in booking dates during an event, Shah Rukh Khan has to delay release of ‘Raees’ to the upcoming year. Being choosy on the dates for release of the film is the latest fashion in industry to get sure set success (Even if you hadn’t made any effort in movie. The fight for independence day is won by Akshay Kumar with a great margin. One of the most important fact which kept the hope alive was connection with the fans. Having a good fan club is one of the hard earned blessing in bollywood. Currently Akshay Kumar is only laid behind by Salman Khan on the box office earnings. The first day went super fantastic for Rustom collection. The movie released just a few hours ago observed houseful shows in Morning, Evening and Night despite the fact that it was raining. Akshay Kumar craze had once again touched the heights. Most probably the most of the audience was there to see film of star who had done fabulous acting in Airlift movie. As a result of tremendous response, Rustom at box office earned 14.11 crores as its opening day collection. However, the film had sustained the domestic market and observed a benchmarking growth. Earning over 100 crores worldwide collections during the first four days long weekend was a great thing. Among the 50 crore rupees budget of the film, 25 crores were utilized in production cost and other 15 crores went towards marketing and advertising costs thereof. During the Second Day, Saturday, there was rain at various locations of India. Because of the rain, the film grows only 10%. The growth earlier expected was 30% at least on weekends. But 16.43 crores rupees figure on a subsequent day was quite fine. The overseas market also responded in favor. The movie is all about a person who has to leave his family for a job; many Indian overseas can relate themselves to. Collecting a figure of 4.3 crore rupees from UAE-GCC was not good. Airlift had earned a great money without landing itself into any trouble. Rustom had collected 8.30 crores as opening day earnings from International market. The weekend total stands at 23 crore rupees from overseas. During the entire week, Rustom collection stands at a figure of 25 crore rupees from overseas market. Rustom collection were good during the entire week. The weekend earnings however remained a bonus over and above the actual earnings specially during the second weekend. Last film of Aki, Airlift had received even better response. The movie had successfully dominated many important markets in the industry. It remains to be third film of Akshay Kumar to cross a benchmark earnings of 100 crores in less than 10 days. 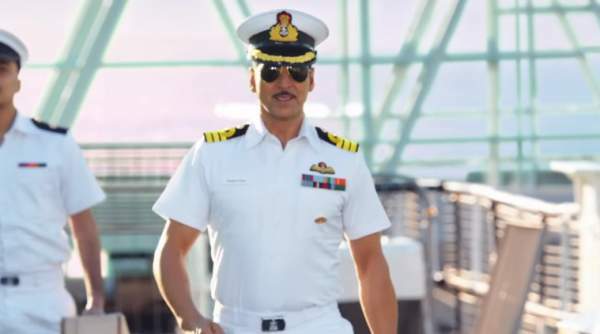 Rustom box office stands at 10 day total of 108 crore rupees from the domestic market. However, it was not able to cross higher ever grosser of the super star. ‘Rowdy Rathore’ still stands on number 1 to be the most popular film. Overseas earnings remains to be cheesy topping over the overloaded pizza. Rustom collection from overseas market stands at 1.24 M$ (8.30) for the first day itself which is great. Another positive points should also be noted down, earnings from overseas market was 23 crore rupees by the end of first week. Total overseas earnings were 25.4 crore rupees. Rustom collection stands as all time hit of Akshay Kumar, the film is expected to complete the target of 150 crores in next 2 weeks.